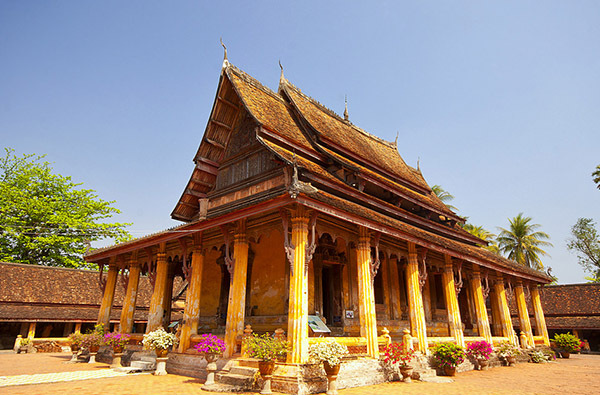 The combination of famous places in Laos Cambodia Itinerary will bring to you the stunning scenery such as Luang Prabang – A Soothing Getaway, Vientiane – the capital of Laos – peace, and mystery in each attraction, Siem Reap – a journey to lighten your vision or Phnom Penh – the path of knowledge and enlightenment. 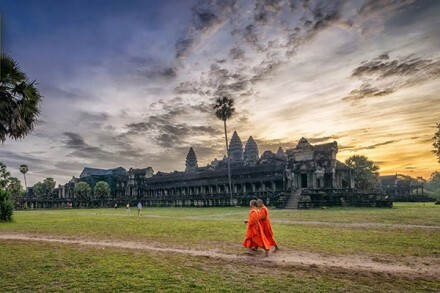 For a numerous experienced year in traveling, Travel Sense Asia has been built the interesting Itinerary from Cambodia to Laos in a two-week trip. It will allow you to explore the most destinations in these two countries. Although a small country, Laos is rich with attractions, culture, and mystery. 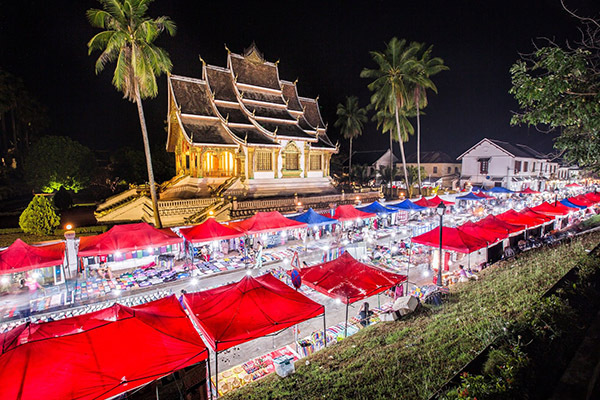 Laos preserves its unique heritage, the tradition of the daily procession of the offerings of alms to nearly 200 monks at dawn in Luang Prabang, the featured beauty of the Vientiane capital…Let we take you this trip to Laos in Laos Cambodia Itinerary and show you what to see in this country. Climb up to the top of Mount Phousi to explore the sacred, gilded stupa as well as capture a beautiful view of the city and the watch the setting sun as it is reflected on the Mekong River. Come to the Night Market. Here you can buy some handmade textiles made by the local people. Experience the morning Phosi Market where you can see such diverse offerings as local tea, dried buffalo skin, and saltpeter among the vegetables, chickens, hill-tribe weavings, etc. 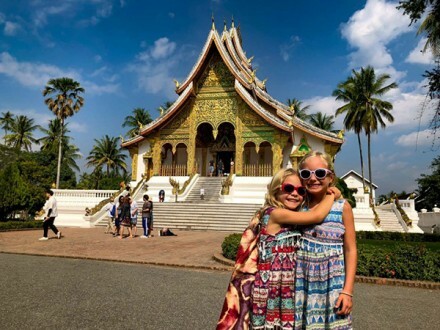 Visit Wat Sene and Wat Xiengthong – the oldest temples in Luang Prabang with its roofs sweeping low to the ground, They represent the classical architecture of Laos. Explore the mysterious of Pak Ou Caves, where there are two caves linked together. You can also see thousands of gold lacquered Buddha statues of various sizes and shapes by pilgrims. Stop at the small village of Ban Xanghai, where the local rice wine is distilled. Drive to Ban Phanom, a small village with its famous hand weaving. 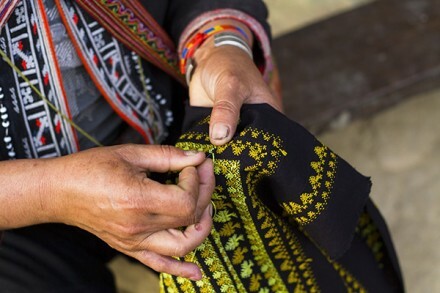 Visit some local villages of Lao ethnic minority groups such as Ban Ou, Ban Ouay, Ban Thapene, and Laoloum. Admire the beauty of Khouangsi Waterfall – where you can take a dip in the inviting pools or walk along the forest trails surrounding this waterfall. Take a visit to the National Museum (close Tuesday) at the former Royal Palace. 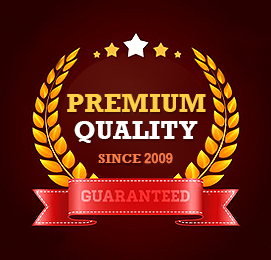 Here you can admire the collection of exquisite artifacts. They reflect the richness of Lao culture dating from the sovereign kingship to the last sovereign. Nestled in a curve of the Mekong River, Vientiane with its unique historical relic has a fascinating charm with visitors of Laos Cambodia Itinerary to the cross. If you have come to Vientiane, you can not miss the opportunity to visit the unique places here, that attract tourists with spiritual beauty in the capital of elephant country. 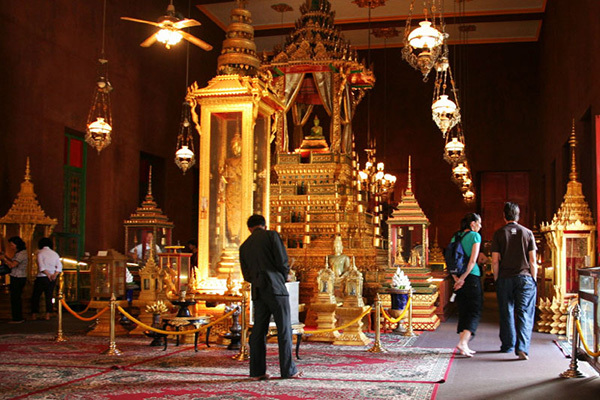 Visit the major sights of the capital; including the oldest temple Wat Sisaket with thousands of miniature Buddha statues and the former royal temple of Wat Prakeo, which previously housed the famous Emerald Buddha Image. Admire the featured beauty of Patuxay Monument, which is also called the Vientiane’s own Arc de Triumph. Trekking to some favorite spots of Vientiane, including Wat Inpeng, Wat Ong Tue, and Wat Haisok. Stop for a moment in Mekong Riverside in the late afternoon to watch the sunset. 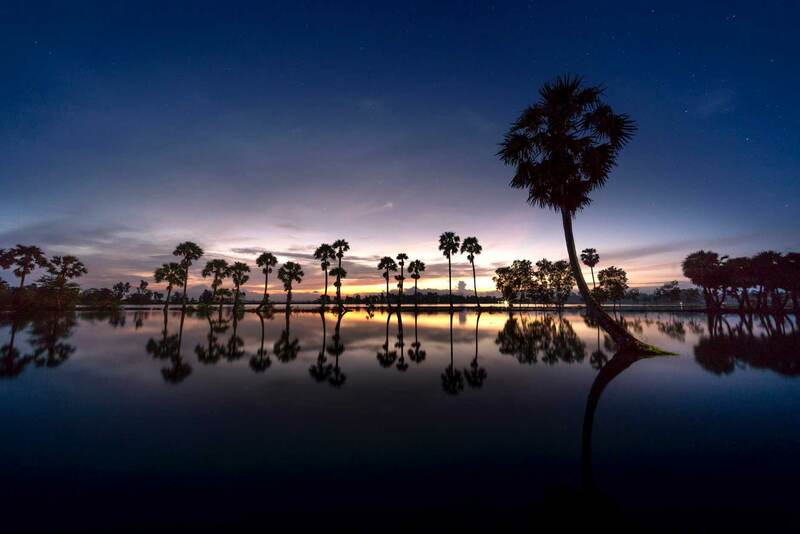 When thinking of Laos, people think of the famous tourist destinations such as the capital Vientiane, Luang Phrabang,… but little known Pakse, Siphandon (4000 islands) that is located in southern Laos – an extremely interesting and new attractions for tourists. Visit a pre-Angkorian temple, the ruins of Wat Phu. This is one of the most dramatical temples in Southeast Asia and recognized as a Lao World Heritage site by UNESCO in 2001. Overnight in the peaceful Khong Island, the largest in the magical 4000 islands region. Take a trip to the Boloven Plateau that provides a refreshing break from the heat and allows you to observe the cultivation of rich tea, coffee, bananas, cardamom,… and other crops that can be seen en route. Visit the Tad Lo waterfall and villages of ethnic minorities such as Nge, Alak, and Katu. Drive to the archeological area to visit the Roluos Group of temples, including Lo Lei, Preah Ko, Bakong. These temples represent the remains of Hariharalaya, the first capital of the Khmer empire. Take a look at the south gate of Angkor Thom, which is famous for its series of colossal, human faces carved in stone. Discover the impressive centerpiece of the city, The Bayon Temple, which emerges from the jungle as an incredible forest of heads. Visit the Royal Enclosure, Phimeanakas, Elephant Terrace, and Terrace of the Leper King and the famous Wonder of the World, Angkor Wat. 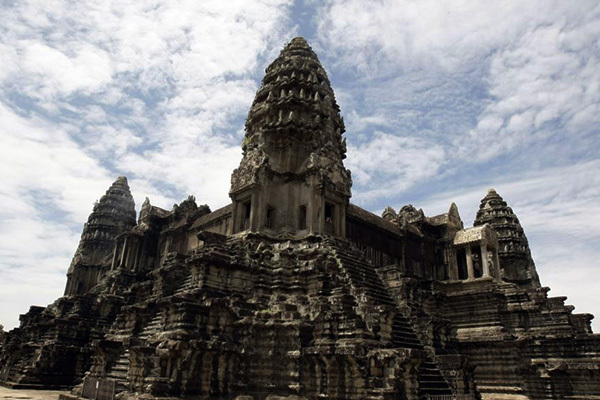 Built in the early years of the 12th century by Suryavaram II honoring the Hindu gods Vishnu and Shiva, Angkor Wat, is one of the most breathtaking architectural masterpieces and the largest religious monument in the world. Visit the temple of Ta Prohm, one of Angkor’s most atmospheric and popular temples. Its jungle surrounding has enormous gigantic and creepers fig trees embracing themselves in the stone foundations of the temple structure. This gives the impression of man’s creation being reclaimed by the powerful forces of nature. 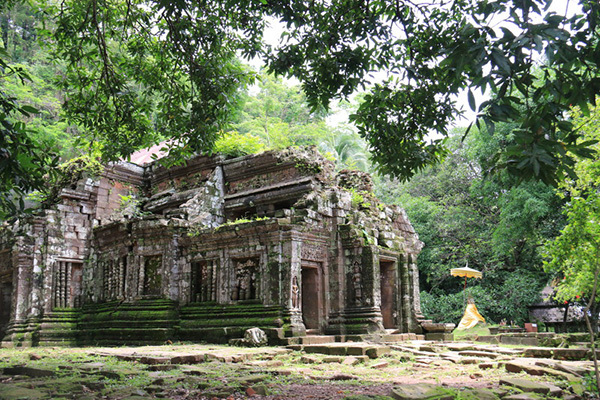 Explore the temples of Banteay Kdei, Sra Srong, Ta Keo, Thommanon, and Chau Say Tevado. Trekking to Phnom Bakheng Hill to enjoy the sunset. See some outlying sights such as the River of 1000 Lingas, the Preah Dark village, the well-preserved temple of Banteay Srei, the intricately carved, and the Banteay Samre Temple. 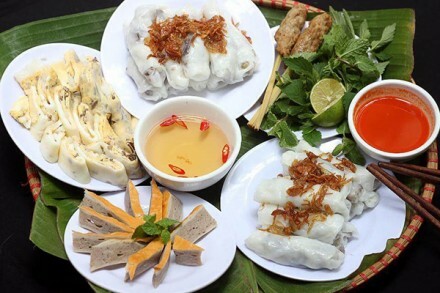 Phnom Penh will be the last stop on the Laos Cambodia Itinerary. The capital of Cambodia is really a wonderful place for visitors to spend a few days. Phnom Penh’s shine was tarnished by the impact of war and revolution. 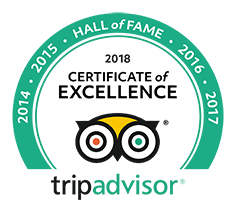 But the city has risen from the ashes to take its place among the capitals of the region, with an alluring cafe culture, bustling bars, and a world-class food scene. Visit Silver Pagoda, which is the most sacred temple in the country. Visit the National Museum (closed Tuesday), with an excellent collection of artifacts illustrating the splendor of Khmer history. visit the Royal University of Fine Arts where the young Cambodians learn the Ancient arts of their ancestors. discover the lively open markets of this city, that’s Psar Toul Tom Pong, also known as the “Russian Market” where everything can be for sales. The Tuol Sleng Museum, a former school that was transformed by the Khmer Rouge into a torture and detention center for over 17,000 prisoners also known as Security Prison 21, or S-21 and the notorious ‘Killing Fields‘ of Choeung Ek are of interest to many people and are not to be missed. So we ended a long journey in Laos Cambodia Itinerary. Hope that these time will give you much of memories about two ‘’gems of Indochina’’.